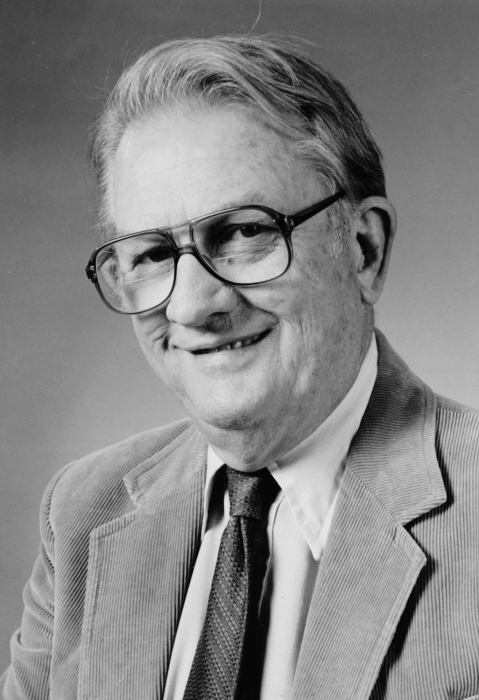 Malcolm O. Sillars, longtime University of Utah faculty member and administrator, passed away in Salt Lake City on November 12, 2018 at the age of 90. Malcolm was a special man with an extraordinary career, loved for his kindness, humility, and dry humor. He is survived by his companion of 75 years, Char Sillars, along with three sons and daughters-in-law, four grandchildren, ten great grandchildren, and many dear friends. Malcolm passed away due to complications from a bad fall, but enjoyed life to the end. On the morning of his death, Malcolm was still joking with friends while lying immobilized in palliative care. Malcolm was an only son, born February 12, 1928 in Union City, New Jersey to Malcolm Sr. and Dorothy Edna Sillars. After relocating to Los Angeles, Dorothy raised chickens and sold eggs to make ends meet while Malcolm Sr. served as a naval officer in WWII. After the war, Dorothy’s egg venture grew into the family business, the Sillars Egg Ranch, in El Monte, CA. Malcolm backpacked as a child in the LA foothills, riding bikes with friends up Santa Anita canyon to hike up the stream. Later, family backpack trips and Mal’s involvement with the Boy Scouts, where he became known as “our fearless leader,” cultivated a legacy of love for the outdoors. Malcolm was a first generation college student, who doubted his own abilities but was drawn to teaching and found a path through his talent for speech, drama, and debate. In high school, counselors and teachers advised Malcolm that high school teaching was likely out of his reach and discouraged his interest in debate, as the team was for “really bright students.” Malcolm persevered and exceeded expectations, winning the California state high school championship in two-person, policy debate during his junior year at Mark Keppel High School, and later, the Pi Kappa Delta debate national championship at Redlands College. Over the duration of his career, Malcolm served as President of the Western States Communication Association and National Communication Association, was Editor-in-Chief of the Quarterly Journal of Speech, authored or co-authored books on public speaking, argumentation, and rhetorical criticism, and produced an influential program of scholarship on the rhetoric of political and social movements. Mal was a beloved mentor for numerous students and left a deep footprint. Mal and Char spent summers at their cabin at Cedar Slope in the Sequoia National Forest of southern California, where they created indelible friendships and memories. In his later years, Malcolm researched and wrote a book on the history of the area, as tribute to the families and colorful personalities who mingled there. Family members will gather at the cabin next year at Malcolm’s favorite fishing spot, Clicks Creek, as was his wish. The Department of Communication and University of Utah will host a memorial reception on campus next spring, at a date to be announced. In lieu of flowers, Char requests that donations be made to the U of U's Malcolm O. Sillars Scholarship for students in the John R. Park Debate Society (to donate, go to debate.utah.edu).